A goalie has to trust his instincts, even when taking a shot to the heart. Mike Beacon is a champion at defending the net, but off the ice he's not so lucky. A widower and a single father, he's never forgotten Lauren Williams, the ex who gave him the best year of his life. 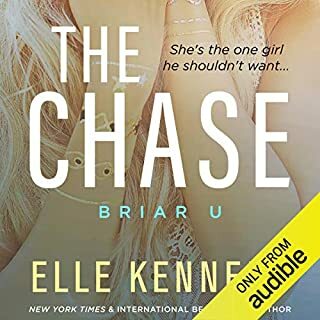 When Lauren reappears in the Bruisers office during the playoffs, Beacon sees his chance to make things right. Lauren hates that she's forced to travel with the team she used to work for and the man who broke her heart. There's still undeniable sexual tension running between her and Mike, but she won't go down that road again. She's focused on her plans for the future - she doesn't need a man to make her dreams of motherhood come true. Lauren plays her best defensive game, but she's no match for the dark-eyed goalie. When the field of play moves to Florida, things heat up on the beach. One of Mike's biggest fans - his teenage daughter - doesn't approve. But a true competitor knows not to waste the perfect shot at love. This was heartbreakingly good! I hurt for Lauren and Beacon both. He should have handled it better but damn. This one made my cry. All. The. Feels!! I have really enjoyed this whole series. The story is great very touching and the narrators are wonderful. Love this story and series. Excellent writing, characters and narration. Sarina Bowen is one of my new insta-buys. She’s so entertaining. I love this series. 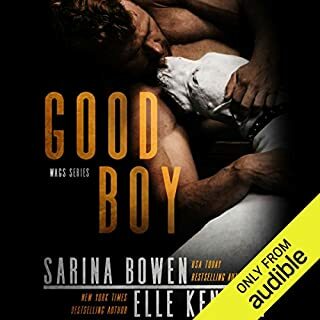 Sarina Bowen is able to weave these stories so awesomely. They're completely engaging and so good! i liked Mike more than i thought i would. both the story and narration were great. So much angst in this second chance romance but it was so so good!! I loved getting to know Queen Lauren better and finding out why she was so anti-hockey. This series is fantastic and has quickly become my fave of SB’s!! 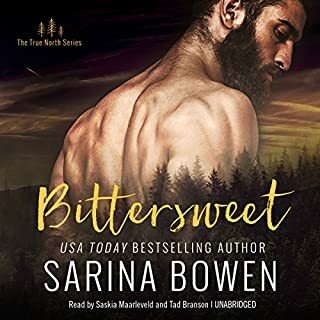 There are many Sarina Bowen books I love, but this won't be one of them. I really don't like Mike from the get go and by chapter 7 I wasn't enjoying myself reading about how cruel and oblivious he was to Lauren. Add in the all the other angst and my grudge against him, I decided to not put myself through this. I really hate noble idiocy type stories , I feel they are lame plot devices for drama. I have been listening my way through the Brooklyn Bruisers and really enjoying them. The writing is great, and the connections between the teammates, staff, and significant others gets me excited for each and every new book. While I always liked Mike, I am impressed with how Ms. Bowen was able to get me to fall so completely for Lauren. Lauren is supposed to be the ice queen. She is all business, and avoids the hockey side of things completely. However, Ms. Bowen does such an amazing job of showing why Lauren is this way and that there is so much more to her. I fell hard for Lauren, and my heart hurt for everything she had been through. I wanted things to work out, because she deserved her happy ending. I loved watching her develop friendships with the other girls and really find the life she deserved all along. Second chance stories are some of my absolute favorites, but I'm also probably most critical of them. I can be a total grudge holder, so I need massive character development to believe it is really going to work the second time around. This story did a good job of that, but I would've liked just a little bit more. I felt like Lauren deserved a bit more in the way of apologies from Mike. I get that he was ready to move on and start again, but I still held a tiny grudge against him. That said, I was still cheering them on, and so happy for their HEA. I was convinced it would work this time. This narration was really well done. The emotions came through, and I really enjoyed listening. I won't hesitate to grab more books by these narrators. Sarina put another one into the net! 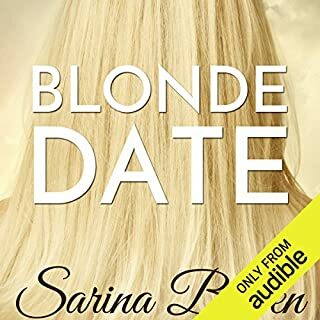 Sarina Bowen is one of my favorite authors. This book is a lovely second chance story. I liked the main characters and also the interactions with characters from the other books in the series. The narrators did a great job. I enjoyed their performances. I’ll be listening to this one again.